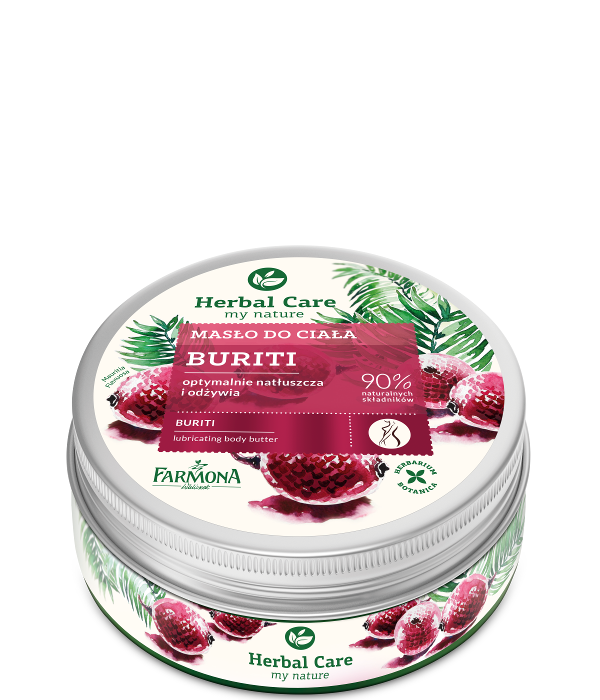 Our buriti body butter, we composed with valued for centuries natural plant ingredients, that rebuild hydro-lipid barrier of the skin, protect against dryness and restore skin comfort. Day by day skin becomes more elastic, smoother and visibly regenerated. 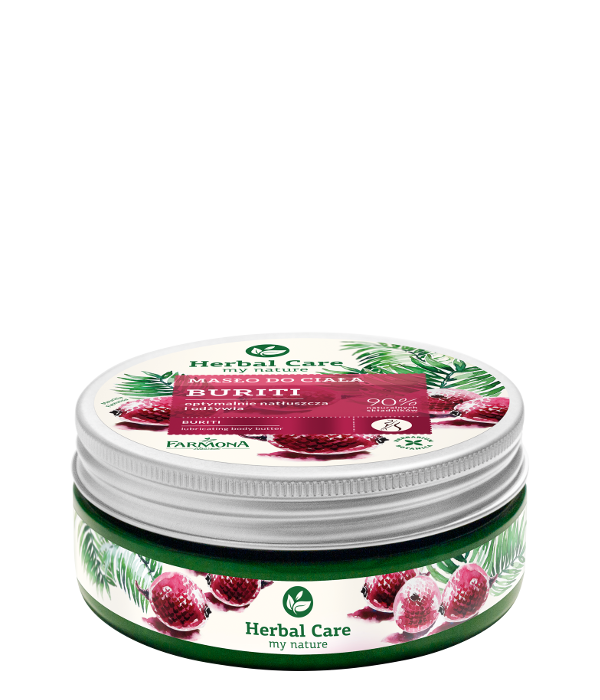 Usage: gently massage into the skin. Aqua (Water), Ethylhexyl Stearate, Butyrospermum Parkii (Shea) Butter, Cetearyl Alcohol, Glycerin, Dimethicone, Prunus Amygdalus Dulcis (Sweet Almond) Oil, Ceteareth-20, Cocos Nucifera (Coconut) Oil, Mauritia Flexuosa Fruit Oil, Tocopherol, Hydrolyzed Caesalpinia Spinosa Gum, Caesalpinia Spinosa Gum, Phenoxyethanol, Ethylhexylglycerin, Sodium Polyacrylate, Xanthan Gum, Disodium EDTA, 2-Bromo-2-Nitropropane-1,3-Diol, BHA, Parfum (Fragrance), Benzyl Salicylate, Citronellol, Hexyl Cinnamal, Butylphenyl Methylpropional, Limonene, Linalool.